Note: Hold a 20lb. or 16lb. Medicine Ball against the chest in the “Rack Position” during the squats. For the Kettlebell Push-Press, use one Kettlebell and alternate arms at the conclusion of the required repetitions. You must complete all the repetitions with one arm before alternating to the other arm. Athletes choice on which arm to start with. If you are participating in the Endurance Workout today, we recommend bringing a wetsuit. We will be doing a beach run and ocean swim at Capitola Beach. The EPIC Fitness Van leaves the gym at 1:30. 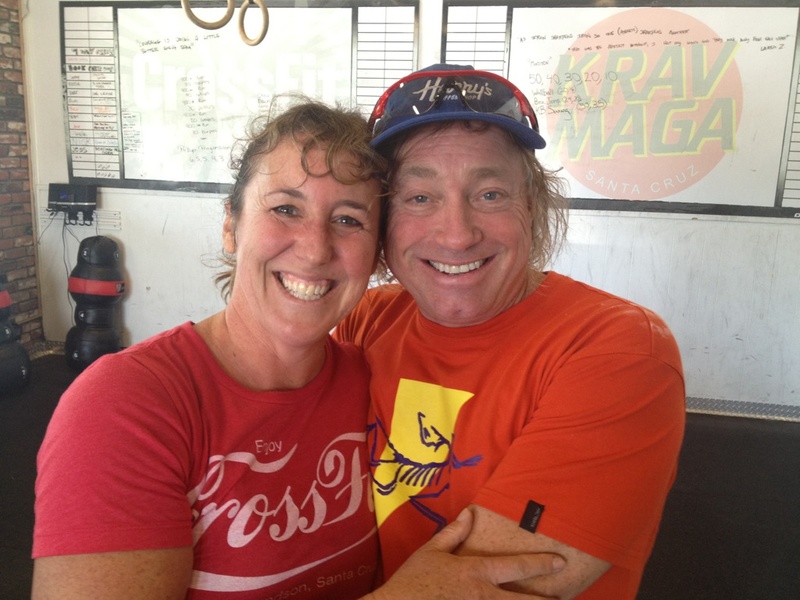 On Saturday, August 10, 2013, our Open Gym and Free Community Workout Athletes were blessed with a surprise visit from the Founder of CrossFit, “Coach” Greg Glassman. Thank you Coach for visiting our gym! In honor of Coach’s visit, todays workout is a “Glassman Original” and it’s gonna’ be a good one.